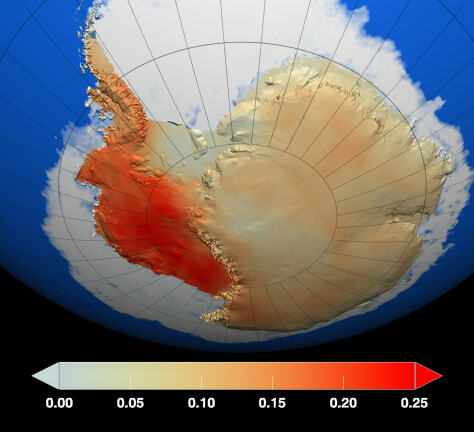 This map by NASA shows temperature changes over the last 50 years on Antarctica. West Antarctica, separated from the east by a long mountain range, warmed faster. Temperature changes are measured in degrees Celsius.